Seattle’s style encompasses everything from high glamour to innovative, functional designs. Get a glimpse of MOHAI’s captivating garment collection at Behind the Seams garment viewings throughout the year, and discover surprising stories at the annual Fashion Lecture held each Fall. What defines Seattle’s style? Unveil local trends and fashion within highlights of the museum’s collections, as well as during lectures and viewings. 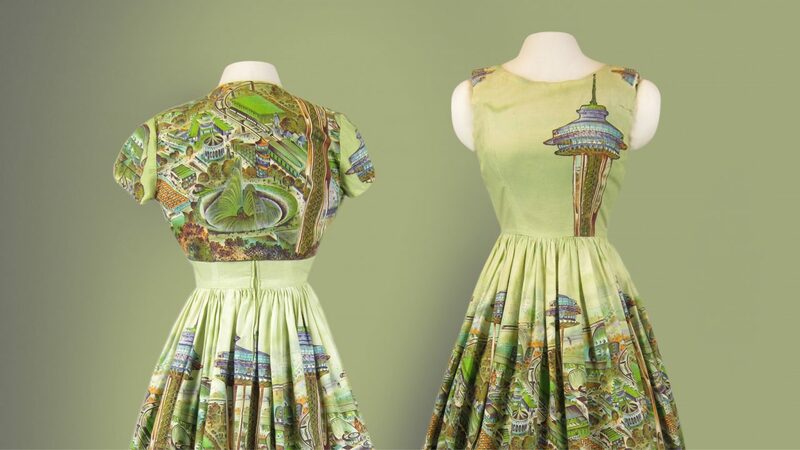 In celebration of the 1962 Seattle World’s Fair, several fabric companies created prints that featured the star attractions of the fairgrounds. 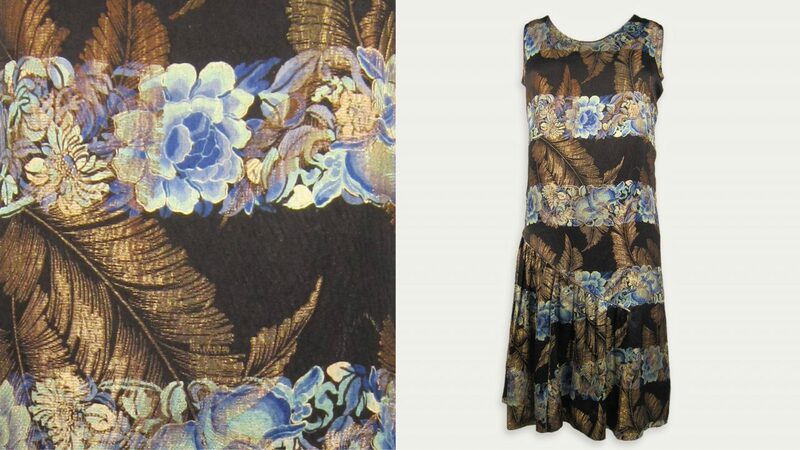 The imaginative home sewer who made this dress used the print in a creative way. The skirt and the body of the jacket showcase the pattern, with the International Fountain centered on the back of the jacket. The dress bodice and jacket sleeves use the plain green sections as backdrop for specific features which have been cut out and carefully appliqued into position. This c. 1928 evening dress was purchased at Helen Igoe’s Shop For Women in downtown Seattle. Igoe made annual trips to Europe to buy clothes for her store and stay up-to-date on the latest styles. The Bubbleator was a large, spherical plastic elevator that took visitors between floors of the Seattle World’s Fair Washington State exhibit in what is now Key Arena. 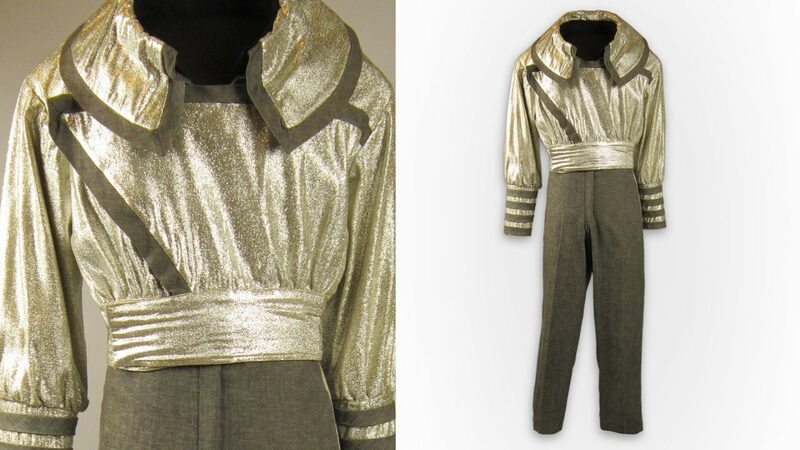 The elevator operator’s silver uniform from 1962 reflected the Space Age themes of the fair. Seattleites are often more likely to joke about local fashion than to brag. Seattle is a city better known for grunge than gowns, but has it always been that way? How did people talk about Seattle style in the past? Are trendsetters being overlooked today? Uncover Seattle’s complicated relationship with style during an intriguing exploration with Clara Berg, MOHAI’s clothing and textiles specialist during the 2016 annual Fashion Lecture. The Klondike Gold Rush reshaped Seattle, including its fledgling clothing and retail industry. Today, Seattle is booming again. How is the tech industry changing and influencing fashion—and what parallels might there be in the city’s past? Explore this tale of two Gold Rushes with MOHAI’s Clothing and Textile Specialist, Clara Berg during the 2018 Fashion Lecture.